If you enjoy historical western romances, join us in the Pioneer Hearts Facebook group, a place where historical western romance authors and readers discuss their favorite stories, recipes and photos. CLICK HERE to join! 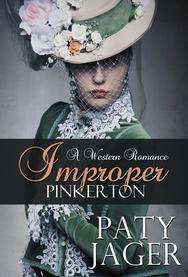 An impetuous Pinkerton agent is out to prove to a righteous U.S. Marshal that she’s the best “man” to complete the assignment and the only “woman” who can capture his heart. Mae Simon is on her first assignment as a Pinkerton operative and determined nothing will stand in her way of accomplishing her task. When the simple assignment turns into a murder and kidnapping, she has to stop hiding behind her disguises and trust a man she’s betrayed. U.S. Marshal Beck Harlan can’t afford to befriend anyone. Not with a vengeance seeking outlaw killing off his intimate acquaintance. Yet, he falls hard for the French prostitute he talks into being an informant, not realizing she is a Pinkerton operative after the same man. Letha Harrison and her younger sister are following their mother’s dying request to reunite their family that was separated by the violence of their abusive, alcoholic father. Now they must survive in a lawless town as they search for their brother. When Letha meets Bas Slocum, she’s finally found a man she can trust – or can she? Bas Slocum keeps everyone at a distance. A lonely childhood and later scrapes with the law have hardened his heart to love. 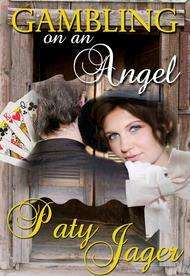 The only thing he cares about is his saloon – until he meets an angel wearing a Temperance ribbon. Letha Harrison touches his soul in a way he never thought possible, but now he must hide the one thing he’s proud of – or lose his angel. Lorelei and Maggie Holmes make a desperate vow to reunite after an Indian raid on their wagon train leaves them orphans. Eight-year-old Lorelei is taken in by an impoverished family headed to a Colorado mining town and ten-year-old Maggie finds herself on the way to Portland, Oregon to live with a woman widowed during the Indian attack. 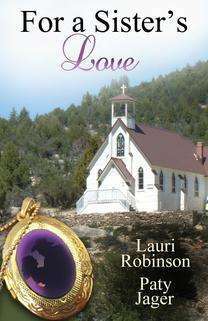 Ten years later, Lorelei’s adoptive father gambles away her birth mother’s locket and her only connection to her lost sister. Believing she needs the locket and to find Maggie, she sets out after the gambler and ends up in the company of a citified lawyer searching for the same man. While cleaning a hotel room, Maggie discovers her mother’s locket in the possession of a gambler. Fear for her sister increases Maggie’s determination. Never one to give up, she dogs the gambler until he agrees to help her find her sister. Two sisters, two adventures, will they find one another or will the men helping them be their destinies?